Ready to enjoy that new car smell? Sit down on a smooth leather seat, marvel at the fine details of the interior, and select from a sports model or family model. Whatever you choose, the zero to 60 acceleration is sure to be fast and the exterior is sure to be sleek when you purchase a luxury vehicle. Connecticut has several options for luxury car dealerships, but these are our top picks as they have great customer service, financing options available, and unique vehicles on the lot. Hoffman Audi of New London is a certified Audi dealership that sells new and pre-owned Audis. Show up for a test drive in a new Audi A4, A5, A6, Q5, or S5 to feel how smooth the ride is along New London’s city streets or take it on the highway to test out its quick zero to 60 acceleration. Hoffman Audi of New London also offers financing options and has a servicing and parts seller. Check out the new Volvo XC40 at Secor Volvo Cars in New London. With a Volvo, you’ll know you’ll have reliability and with purchase from Secor, you know you’ll have friendly customer service. Secor Volvo also sells certified pre-owned Volvos, which makes purchasing a reliable Volvo more affordable. Auto House Luxury is proud to sells pre-owned luxury cars such as BMW, Mercedes-Benz, Lexus, Maserati, and more. 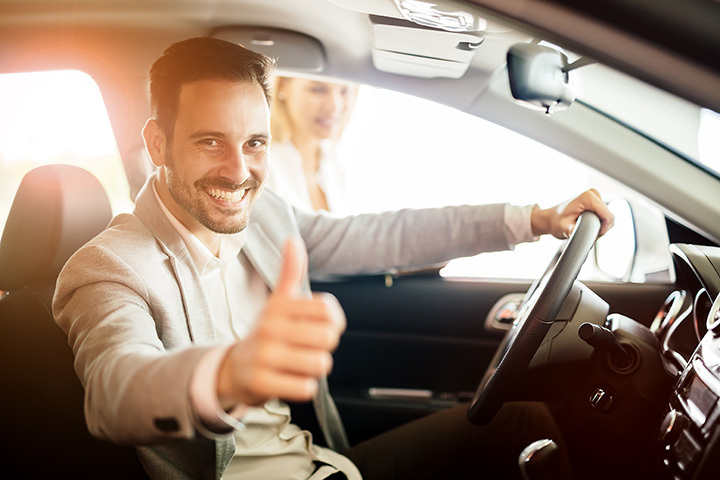 They offer auto financing through several area banks and lending institutions, so you’ll be able to find the financing plan that works for your budget. Enjoy a test drive in one of their carefully inspected pre-owned luxury cars today! Lombardo Motorcars is staffed by car and car racing lovers, so let them assist you in finding a high performance or special interest car. They are selling several vintage Fiats and Chevrolets. Also available is a vintage Porsche turbo and a Ferrari challenge car. Get your Mercedes serviced to keep it running like new, or purchase a new luxury vehicle off the lot from Mercedes-Benz of Greenwich. They sell all of the top Mercedes models as well as certified pre-owned Mercedes. While your car gets serviced or while you wait for a new car to arrive on the lot, you’ll enjoy loaner car use and pickup or drop-off if necessary. Sit down on the luxurious leather seats in a new Bentley at this Greenwich dealership. They carry the Bentley models Bentayga, Continental GT, Flying Spur, and the Mulsanne. Bentley also sells a selection of certified pre-owned Bentleys, and the stock varies depending on current inventory. For a true luxury sports car, head to the exclusive Bugatti dealership run by Miller Motorcars. Feel the speed behind 1,200 HP and sit in the lap of luxury with fine leather seats with intricate interior and exterior detailing. The aerodynamic, sleek body of the Vitesse model of Bugatti is sure to turn heads while you cruise down I-95. Forza is a unique luxury dealership in that they sell vintage, pre-owned luxury cars such as Jaguar, Porsche, and Lamborghini. At the dealership, you’ll find cars both in working condition as well as project cars for those who like to tinker in the garage. See the likes of Jaguars from the 1950s or Maseratis from the 1960s. Road test a new Lexus and you’ll definitely be sold as you’ll be able to experience both great family and sports cars on the lot. You can also get your Lexus serviced to keep it running like new. Serving the greater Hartford area, visit Hoffman Lexus to experience attentive customer service, financing options, and luxury vehicles. Experience the high performance of a BMW as the wheels hug the curves of the road during a test drive at BMW of New London. Several models are available to browse or test drive, and all spoil the driver. The 2 Series even comes in coupe and convertible versions and the sporty BMW Z4 definitely is good for weekend joy riding.